So, you just got your annual auto insurance renewal, but you’re strapped from back to school shopping and you’re trying to save some extra for the holidays. Your budget is in shambles. What can you do? Combine your insurance. Insurance companies like California Casualty offer discounts when your home or renters insurance is combined with your auto insurance. Increase your deductibles. Sure, the amount you will pay will be a little more if something happens to your vehicle, but the amount you’ll save each month could add up to much more, especially if you are incident-free for a number of years. Just make sure you have an emergency fund to cover that higher deductible. Check for good driver/good student discounts. Speaking of incident free, when’s the last time you had an accident or a moving violation. Most insurance companies will give you a good driver discount, but make sure you tell them. The same goes for students who get good grades. Take a defensive driving course. When’s the last time you refreshed your skills? You may qualify for a discount after showing proof that you have completed a safe driving program. 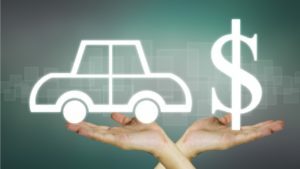 Check insurance costs when buying a new vehicle. Many vehicles will cost you less; others will increase your premiums. It depends on numerous criteria from the power of the engine, its safety rating and the loss history of the vehicle. Clean up your credit. Many companies look at your credit score and how well you do in paying your bills. The better your credit score, the better rate you are likely to receive. Clean credit also helps when you want to buy a new car, rent or buy a home, etc. Cut your driving. Ride a bike, join a carpool or move closer to work. How many miles you drive each year can affect your rates; the less you drive, the greater the possible discount. Pay your premium in full each year. Not only can you get a discount but you will avoid monthly service charges. Get a policy review. Has your commute changed? Did you install a security device? Did you get married? All of these can lower your rates. Talking with your insurance advisor at least once a year is the best way to make sure you get the discounts you’re entitled to. Compare your current insurance to California Casualty. We are pretty certain that when you stop and compare benefits and prices, California Casualty will be right there with the best of them. Why? We are a 100-year-old, policyholder owned company that provides auto and home insurance to educators, firefighters, LEOs and nurses with exclusive benefits not available to the general public. Now that spring is officially here, it’s time for some spring cleaning. We’re not just talking about your home, but also your finances. Before your mind goes into panic mode, we have a simple checklist to go through so you don’t feel behind and lose the stress of finances. Let’s walk through an easy checklist to keep your finances in check this spring. Start by organizing your bills and making a list. Go over your bank statements, documents, receipts, and files for a fresh starting point. Work with Whole Numbers. Try rounding balances up to the nearest dollar. Not only, does the spare change add up, but it makes budgeting much easier. (And your spare change can be put towards savings.) It will also give a sense of control. Update Your Budget. Now that you have a list of your expenses, update your budget and make sure that it stays current. Can you be putting more towards savings with your recent promotion? What other expenses can you cut back on? Check Your Credit Score. Don’t let this scare you. Seeing the hard numbers can help you figure out what is a top priority to focus paying off. Make a Big Payment. Now that you have seen your credit score, and budget. Making a big payment can help make a leap towards paying off that credit card. And you’ll feel relieved you did it. Clean Out Your Wallet. Get rid of unnecessary receipts and paper clutter you may have. Organize your cash, bank cards, etc. Make it a Habit. Finally, start a routine for your finances. Shred documents after calculating in the budget. Practice putting cash into a savings account. Add $50 or more to each credit card payment, or what works within your budget. These easy steps can help to ease your mind about budgeting. Spring cleaning your finances gives a peace of mind and a refresh to a scary task no one likes to face daily.